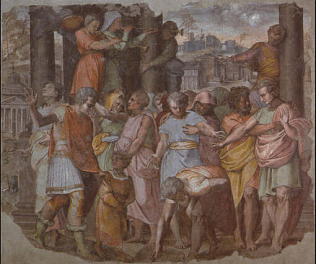 Removed in 1830 from Palazzo Baldassini in Rome together with the other fresco (see below, Inv. 1890-5380). Purchased in 1880.